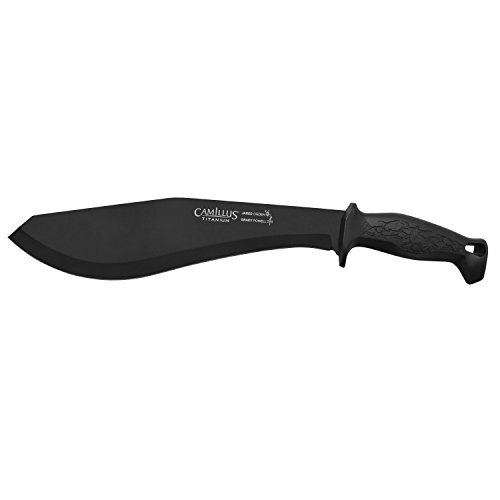 The Camillus 17" Kusabo Machete is a collaborative design by former US Army Green Beret, Grady Powell and former US Navy SEAL, Jared Odgen. Comprised of Titanium Stainless Steel, it feautures: 11.75" blade, a full tang, a rugged glass filled nylon handle and a custom molded sheath. Backed by a Lifetime Warranty.